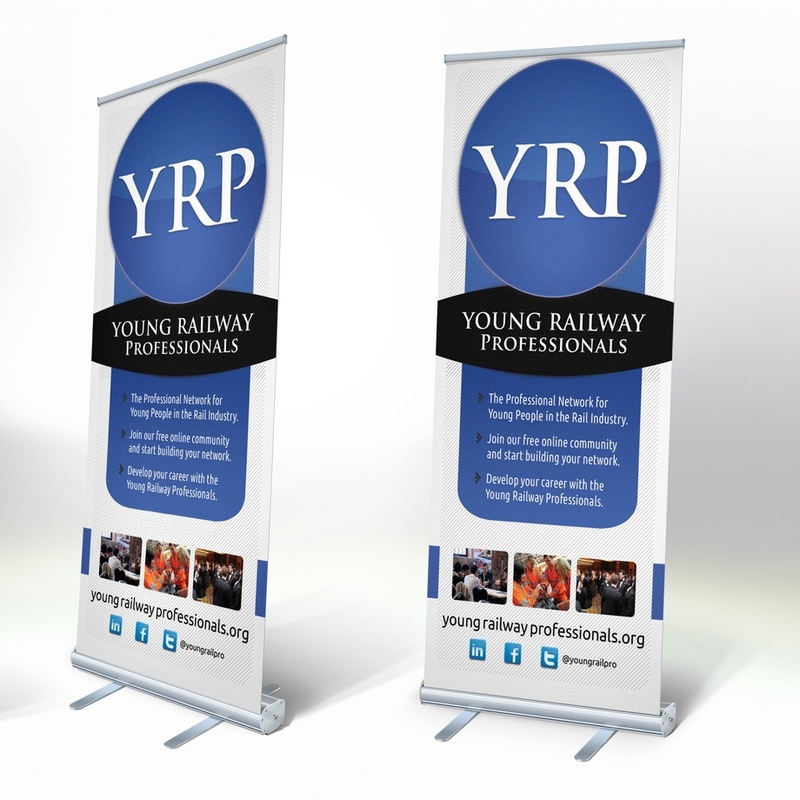 Primary Image produced two batches of banner stand designs for the Young Railway Professionals (YRP). The first design (pictured with pop mogul Pete Waterman! ), was created in 2011 and used as a backdrop to the YRP’s Annual Dinner. The second design, featuring the YRP’s new logo and branding (also by Primary Image), was produced at the end of 2012 and we supplied three of these pull-up banner stands, which were used at YRP events. Click on the picture to see the detail of our design! In addition, we provided purpose-built clip-on spotlights to illuminate the banner stands and make sure they would attract attention. 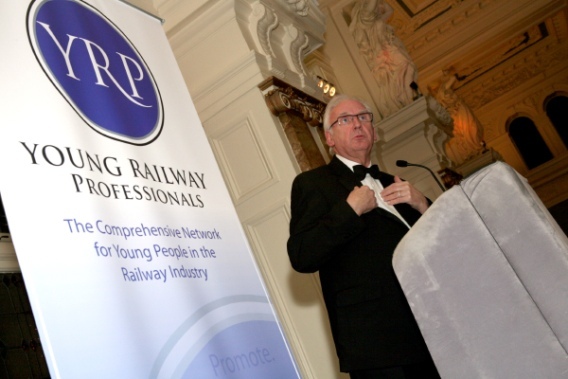 Also see the other work we did for the Young Railway Professionals, including their website, rebranding exercise (logo design), business cards, flyers and brochure design.